It should come as no surprise that the World Wrestling Federation universe extended to the world of Saturday Morning cartoons in the 1980s. 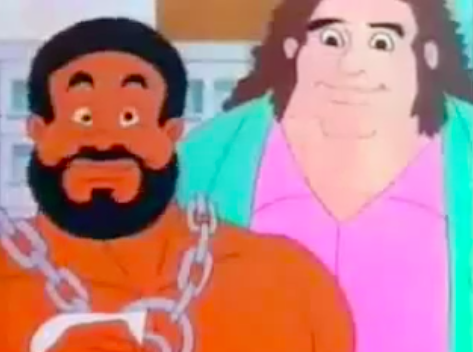 If it existed in the world in 1985 and it was even moderately popular,it seems, there was a cartoon of it. 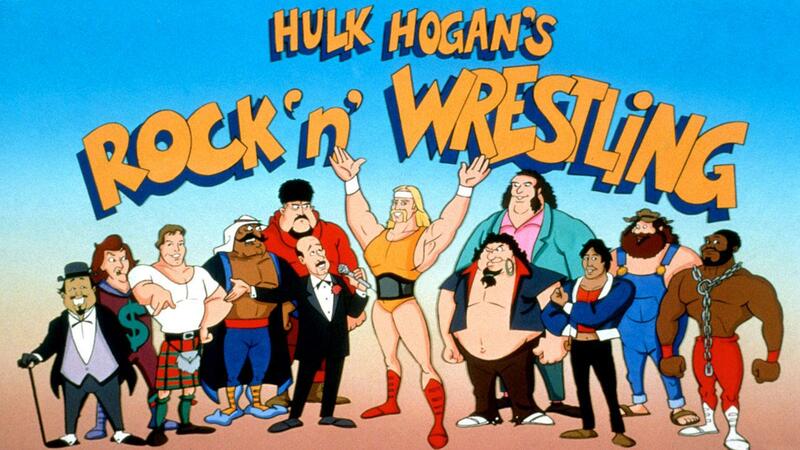 Hulk Hogan’s Rock n’ Wrestling was a 30 minute show that took the good vs evil personas of kids’ favorite wrestlers and played them out in the real world. The “good guys” were led by Hulk and featured Junkyard Dog, Andre the Giant, Captain Lou Albano, Jimmy “Superfly” Snuka, Hillbilly Jim, and Tito Santana. The “bad guys” were led by Rowdy Roddy Piper and featured the Iron Sheik, The Fabulous Moolah, Mr. Fuji, and others. 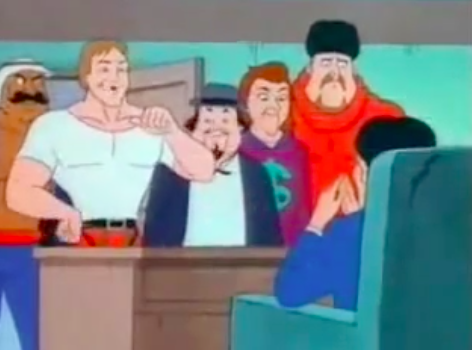 Due to the slow nature of animation, the cartoon quickly came out of sync with the realtime events of the wrestling world; good guys would become bad guys in the ring, but remained good guys in the cartoon. 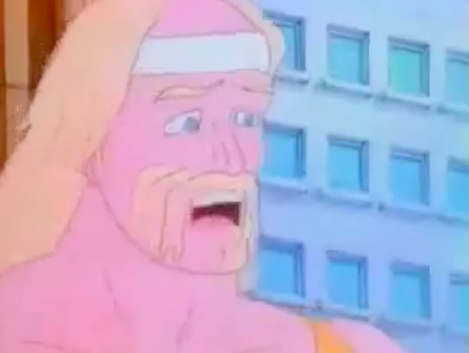 There were also live action segments featuring the wrestlers themselves – they did not voice the characters, and those who did voice them did a pretty awful job. Offensive at times! Here’s one of the live action segments, featuring Andre the Giant. 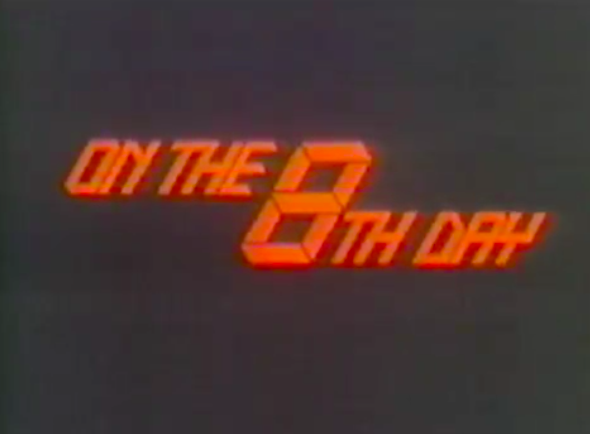 This chilling 1984 documentary produced by the BBC explores the concept of nuclear winter, the impact of nuclear war on the Earth’s ecology. The flat, forward tone of the narrator really offsets the horrors the film examines. 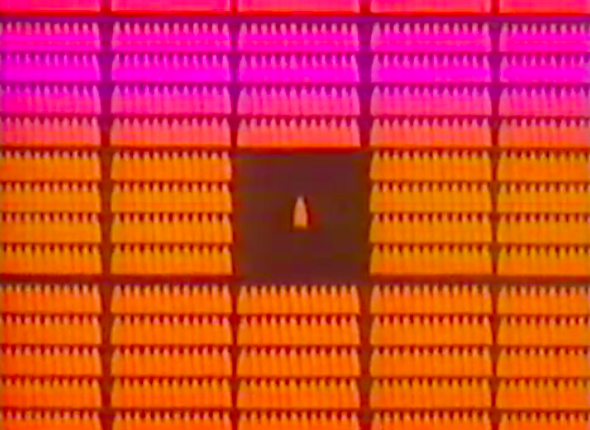 The graphics, fonts, and footage used throughout are amazing. Check it out, and then go hug your family. Equally chilling is the face this doll makes when “talking”. Still, I can only imagine how this slight technological development melted many Cabbage Patch Kids’ fans’ minds when it came out. Amazing artwork for a…less than amazing game. 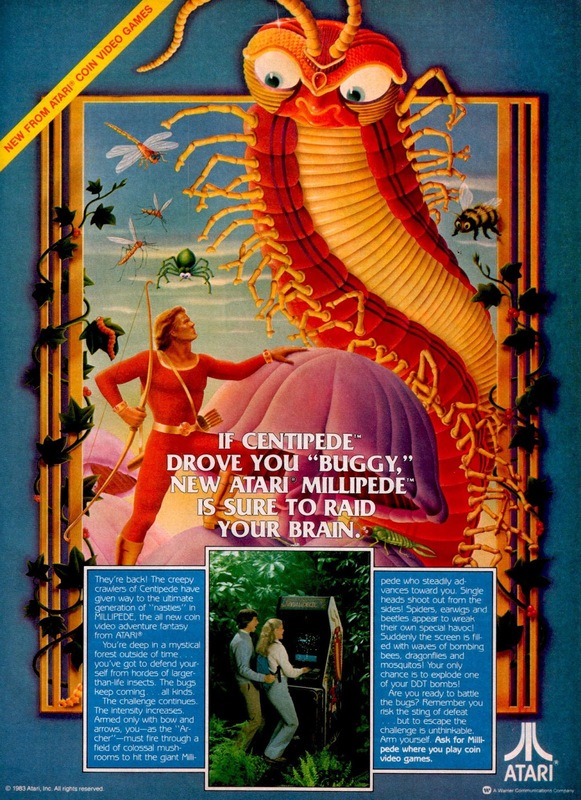 Should have just called it Centipede II.